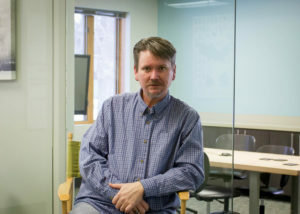 Chris has a degree in Computer Information Systems from Ferris State University and a wealth of experience managing development teams in several different industries. Chris joined the RCSG team in 2010, and is responsible for the architecture and implementation of Red Cedar’s software solutions. Because of his passion for finding new ways to simplify and solve complex problems in code, Chris continually transforms the team’s development practices. Outside the office Chris is usually consumed by baseball. Otherwise, he is cheering on his daughters as they do the things they love; one excelling in dance and acting, the other in gymnastics and softball.